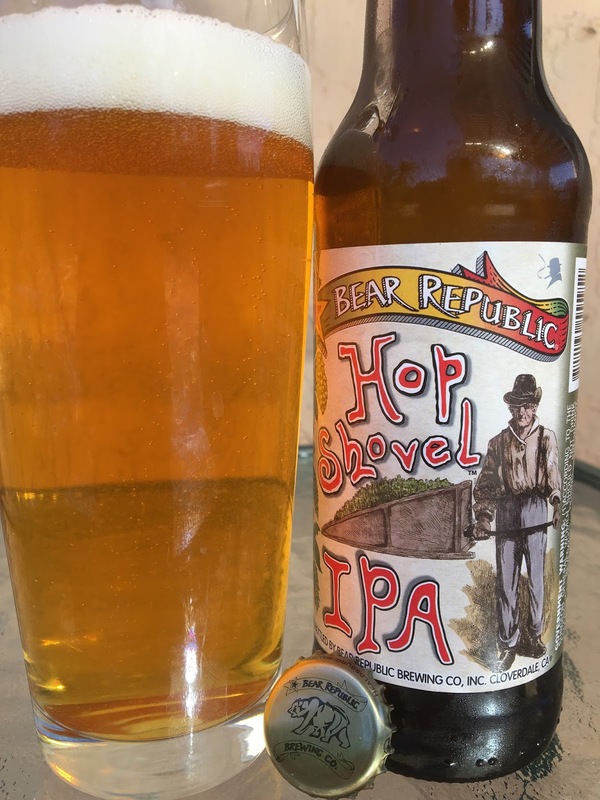 Bear Republic Hop Shovel IPA recently hit my local liquor store shelves. Their Racer 5 IPA has always been a favorite so I decided to check this out. 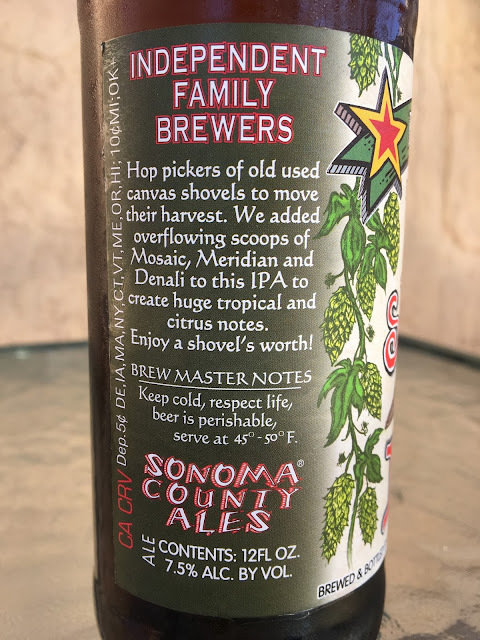 There's a story about the name of the beer which ends with "enjoy a shovel's worth!" 7.5% alcohol. Citrus and pine aroma, and you can work for a little tropical mango. Pine flavors come first, spicy with plenty of hoppy dankness. Fruity sweet behind the scenes, orange and mango. Leans nicely bitter. Different.